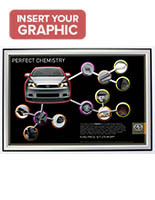 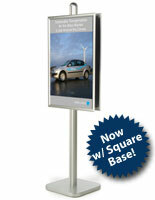 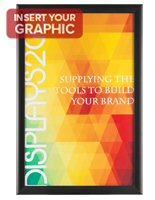 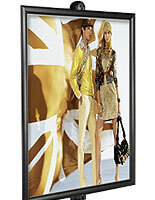 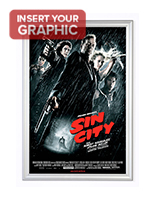 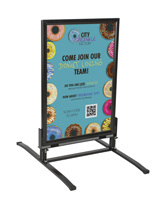 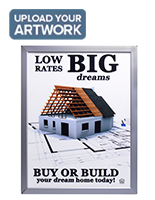 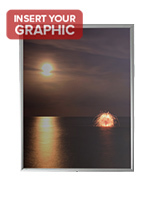 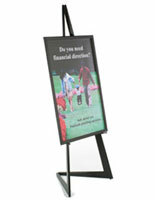 These 24x36 snap frames are made for one of the most popular print sizes and are great for promoting any business. 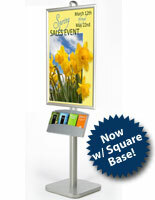 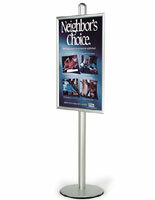 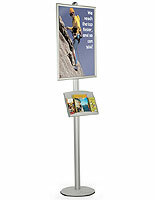 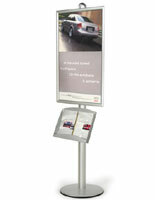 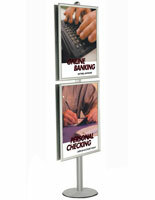 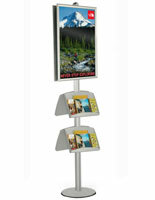 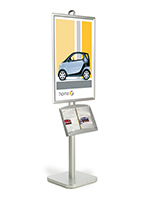 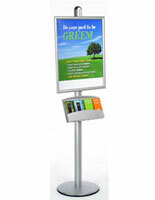 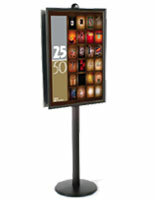 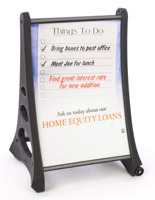 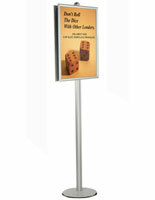 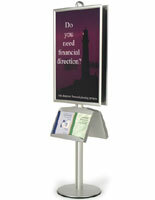 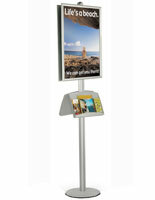 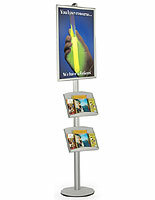 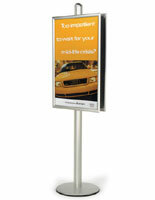 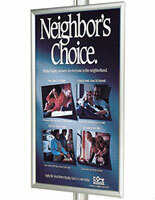 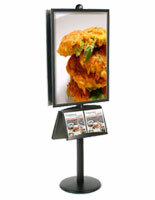 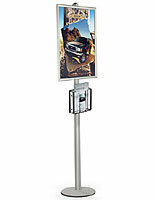 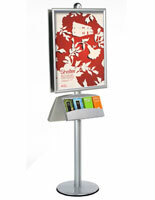 Quick change displays like these are often used by retail stores to promote merchandise and special offers. 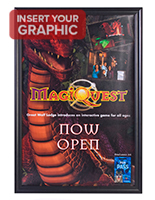 Entertainment businesses like event venues and movie theaters are also frequent users as they can bring in passersby with large graphics. 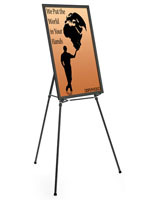 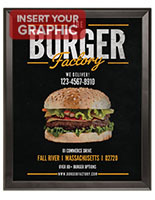 Use the 24x36 snap frames to promote a restaurant with vivid depictions of food, specials menus or a list of upcoming events. 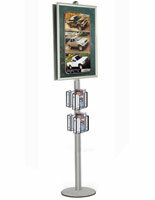 Offered in neutral finishes like black, silver and natural wood, these fixtures will blend in with any establishment. 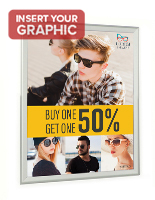 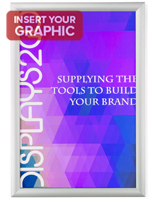 To use these 24x36 snap frames, users can simply roll back the edges, remove the protective lens and replace the graphic without disassembly. 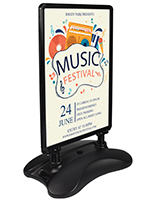 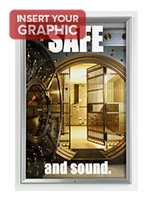 The included clear faceplate protects prints from moisture and fingerprints keeping posters in good condition. 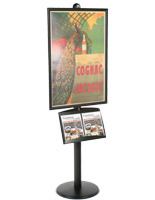 Available here are ceiling hanging kits, floor stands and conventional wall mounts for a number of different display options. 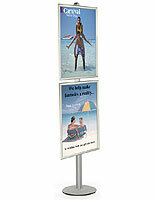 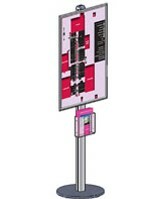 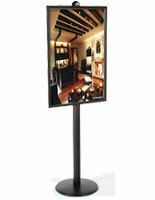 We offer models with lights, literature holders and wind-resistant designs. 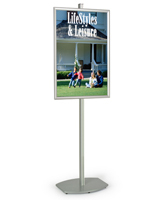 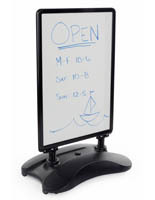 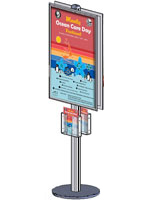 While most fixtures are made for interior use, sidewalk signs here use the same easy-change technology for convenient advertising. 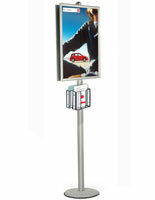 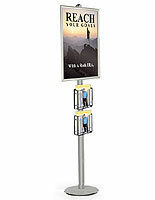 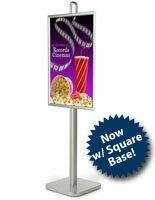 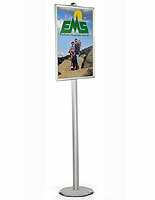 All models benefit from wholesale pricing, making these great for bulk purchases and creating large promotional setups.